Thanks for signing. Now will you spread the word? 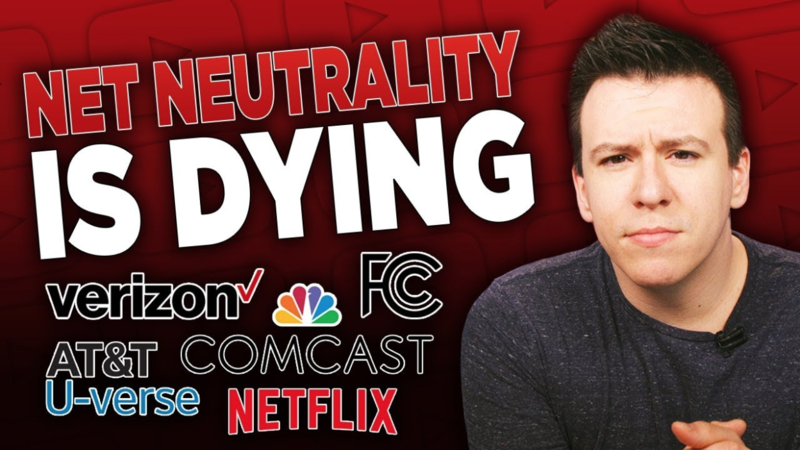 "Killing net neutrality will silence conservative voices online. Support the CRA resolution to stop FCC bureaucrats from killing net neutrality." Net neutrality ensures that Internet Service Providers (ISPs) can't block, censor or throttle traffic to websites. Without net neutrality, Comcast could legally slow down traffic to conservative sites and speed up traffic to its own news websites, like MSNBC. AT&T could incentivize its customers to watch CNN instead of Fox. Verizon could be pressured to censor information about firearms in order to be politically correct. Net neutrality does NOT give the government any control over online content. It prevents big companies from restricting and manipulating what you can see and do online. 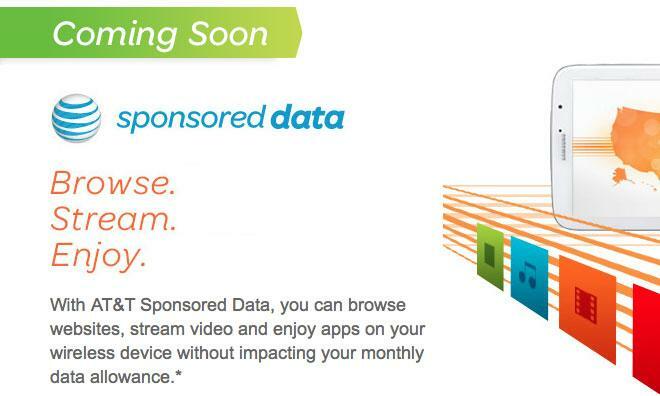 It's not just ISPs who stand to benefit, either. Killing net neutrality will give big Silicon Valley companies — who have been accused of systematically censoring conservative voices — even more power to manipualate the flow of information online. Without net neutrality, entrenched companies can pay ISPs to throttle disruptive technologies and information. Net neutrality protects the free market by preventing ISPs from picking winners and losers. It is the legal framework under which competition in cyberspace thrives. The term "net neutrality" was actually first used to discuss protecting Americans after Comcast banned users from protecting their own online privacy and AT&T prevented customers from using their own wi-fi routers. Since then, Verizon, AT&T and T-Mobile colluded with Google to block innovative apps from entering the marketplace. In 2009, AT&T schemed with Apple to restrict access to Skype. In 2015, all five major ISPs actually slowed down 75% (!) of all internet traffic simply to protest the FCC's rules. And what about those big Silicon Valley companies? Facebook has banned private gun sales. Twitter employees have admitted to banning conservative users for political reasons. YouTube has been accused of purging conservative videos. The only protection we have against censorship by the biggest players in social media is competition. Repealing net neutrality makes it harder for competitors to challenge these massive west-coast incumbents. Which is exactly why they've stayed silent during this process. ISPs do not operate in a free market. Unfortunately, for years ISPs have leveraged their political influence — particularly with Democrats — in order to carve up the country into local and regional monopolies and duopolies, driving up prices for everyday Americans while providing us with slow internet speeds and terrible customer service. More than 50 million American households have no choice for their ISP. These companies have achieved this monopoly status with protection and help from the U.S. government. And in return, these massive companies have been repeatedly caught spying on U.S. citizens, making even the abuses detailed in the FISA memos look minor in comparison. These companies are entirely dependant on the government for their position — it’s crazy to think they wouldn’t block content at the government’s request if net neutrality laws didn't exist to prevent this type of behavior. Does that look like freedom of choice? Or does it look like ISPs spending over a hundred million dollars lobbying Washington to protect their companies from competition? Mainstream media outlets constantly give Barack Obama credit for net neutrality protections. But net neutrality was not “invented” by the Democratic party in 2015. In fact, it has been supported by previous Republican FCC leadership, conservative Supreme Court Justice Antonin Scalia, groups like the Christian Coalition, and thousands of small businesses, startups, and entrepreneurs. All the FCC did in 2015 was clarify the legal framework already in place and approve by the courts. 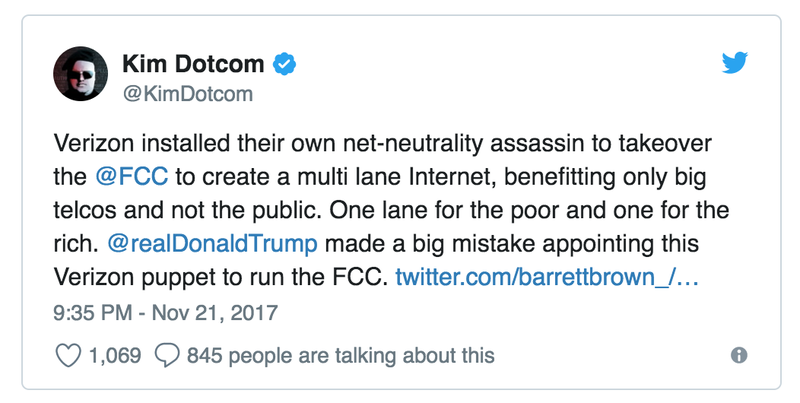 And the only reason the FCC made any change at all was that Verizon sued to strike down the previous net neutrality rules. 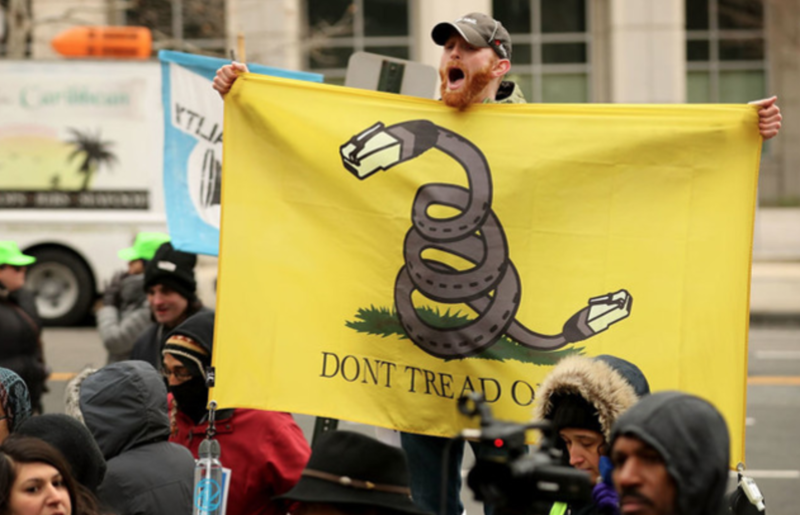 The ISPs' claims that net neutrality has stifled investment have been thoroughly debunked. So anyone who says “the Internet was fine before 2015 therefore we don’t need net neutrality,” is either misinformed or intentionally misleading you. By nature, cryptocurrencies like Bitcoin and Ethereum are decentralized systems, relying on peer-to-peer communications. 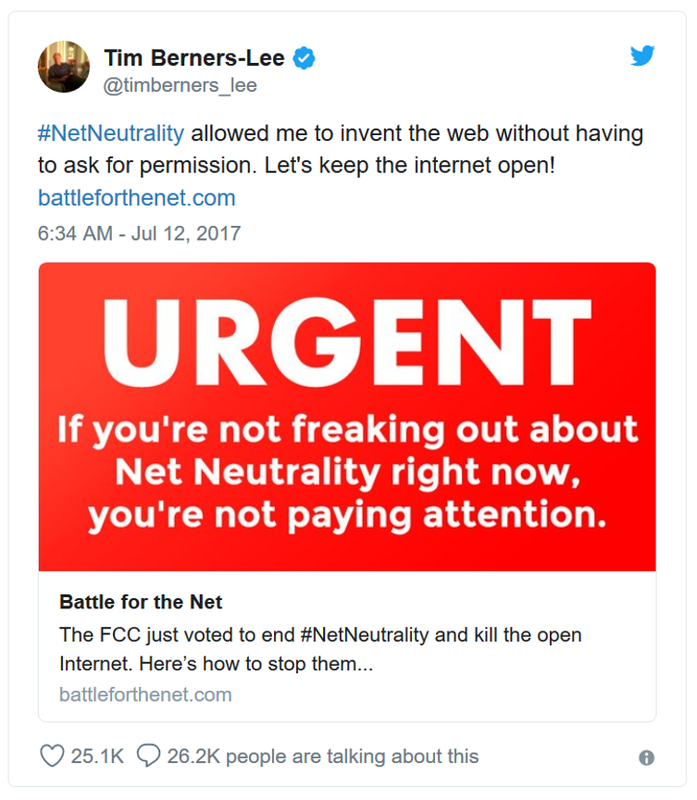 ISPs have already been eager to block peer-to-peer applications like Bittorrent in the past; without legally enforceable net neutrality, there's nothing to stop them from blocking protocols needed for cryptocurrency to thrive. Given that the aspiration of cryptocurrency is to erode the power of financial institutions and place more power back in the hands of regular people, ISPs will likely face heavy pressure to throttle access to cryptocurrency exchanges. Restricting access to globally-traded cryptocurrencies in America likely won't kill those cryptocurrencies ... at least not overnight. But America makes up 30% of the Bitcoin market, so American policies will have a HUGE impact on the value of existing cryptocurrencies and could prevent new competitors from entering the market. 83% of all Americans support net neutrality, including 3 out of 4 Republicans and 76% of Independents. No one wants their cable company to control where they can get their online news from, how they watch videos and listen to music, and what websites they can visit. No one wants their cable company to control where they can get their online news from, how they watch videos and listen to music, and what websites they can visit. Several brave Republican lawmakers, both in DC and in the states, have started speaking out against the establishment line and criticizing the FCC’s decision to screw over consumers in a handout to the ISPs. The Congressional Review Act (CRA) allows our elected officials in Congress to overrule decisions made by bureaucrats at federal agencies like the FCC, within 60 legislative days of the rules entering the federal register. Democrats are more than happy to take credit for net neutrality and use it as a talking point to win over voters at the polls in November. Republicans in Congress need to wake up, catch up to the Internet-age, and vote against the FCC repeal or they’ll be handing Democrats a freebie in 2018.